The expected in-stock date is Friday, May 10. 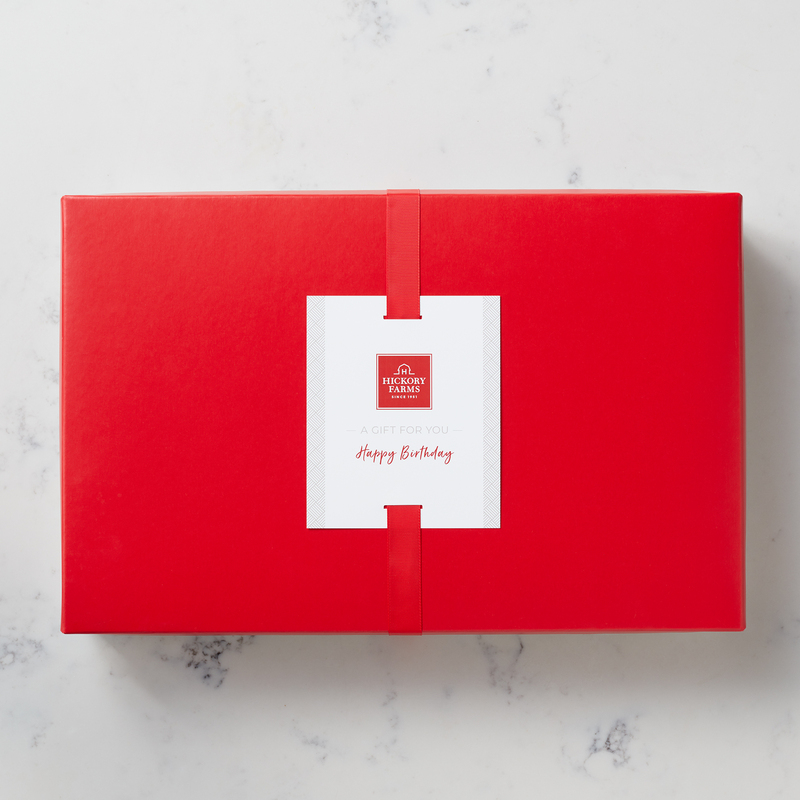 This delicious food gift is a party in a box with plenty of savory bites to share! 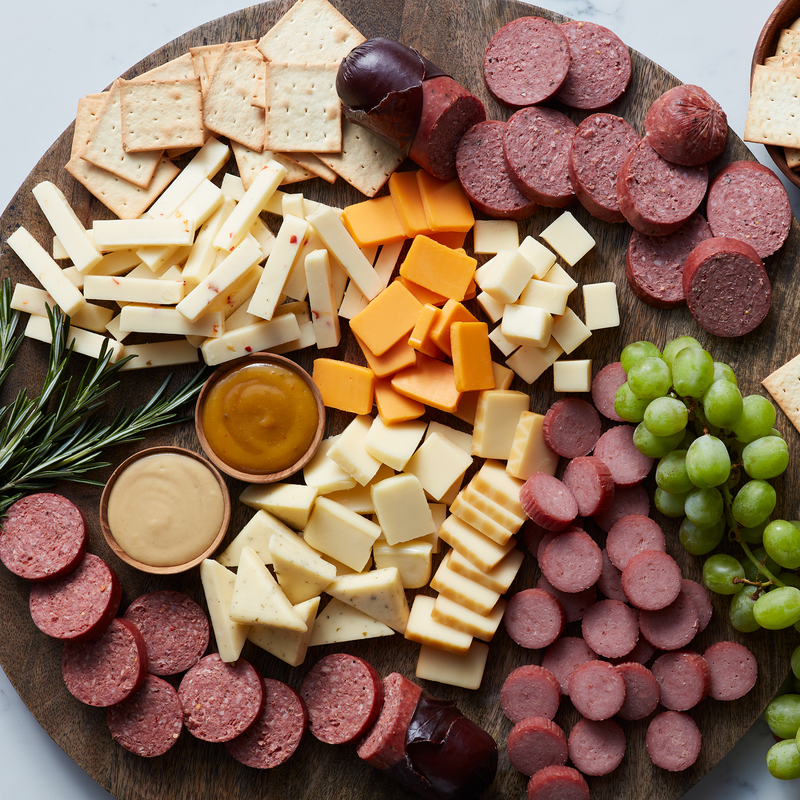 Three kinds of summer sausage, six types of creamy cheeses, two of our most loved mustards, plus two kinds of crispy crackers all add up to more taste combinations than we can count! 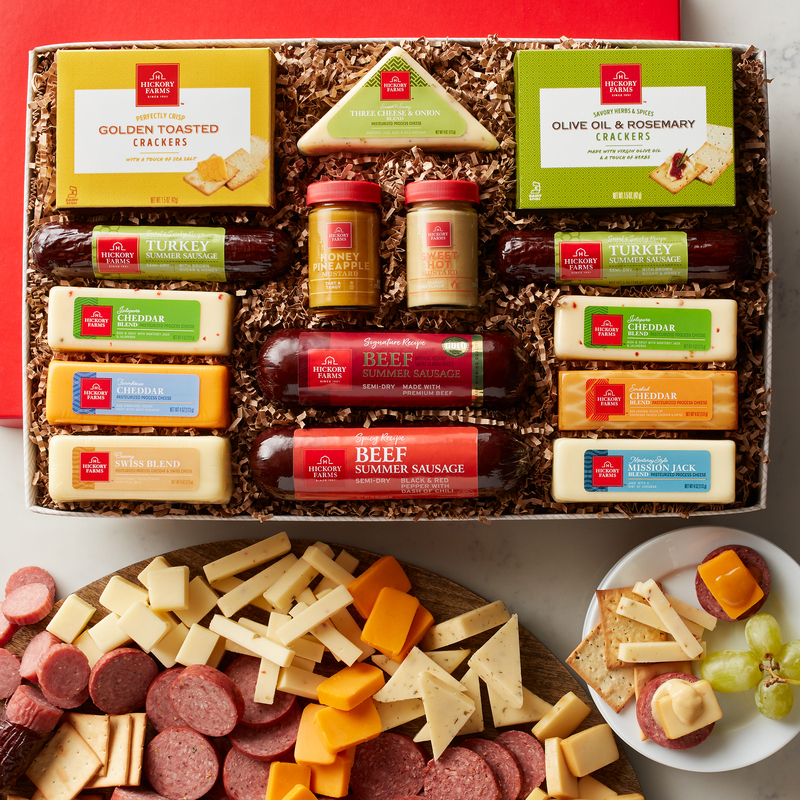 Send this cheese and sausage gift to your favorite party host, or serve at your next gathering for the easiest appetizer ever.